In this series on Social media in Youth Ministry we have been exploring several social media to see how we can use these to connect with youth and with other youth workers. Today we’ll have a look at LinkedIn. LinkedIn is called a social networking site nowadays, but it started out more ‘professional’ and business like than that. LinkedIn is a network site where you can complete a professional profile about your education, work experience, skills and much more. Its primary goal is to facilitate networking. You ask people to become part of your network, which is supposed to be based on actually knowing each other. 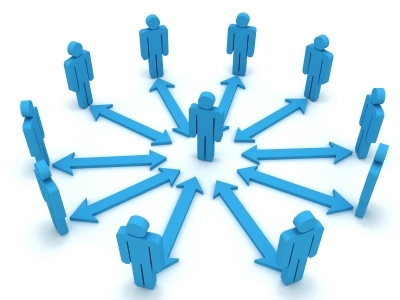 By using the networks of the people in your network, you increase your potential business network. Obviously, it’s also used for job searches and recruitment. As LinkedIn is a professional networking site, you won’t find many youth under the age of 18 here. However, the 18-34 group is well represented. 26% of LinkedIn users are aged 18-34. So if you are working with young adults (say college students or recent graduates), you might find a fair amount of them on LinkedIn. Even then, it’s not a site I would recommend for connecting with them, as it’s not geared towards getting personal. If you want to connect with other youth workers, they have to be able to find you. Make sure your position is filled out in your profile. If you do youth ministry as a volunteer, mention it as a ‘skill’ (choose for instance youth ministry or youth work)) or as volunteer experience (if the latter isn’t displayed in your profile, choose Edit Profile and then Add section – Volunteer Experience). That way, people who search on youth ministry related terms will be able to find you and recognize you’re in youth ministry. The tricky thing is that with LinkedIn you have to say how you know people if you want to add them to your network, from which (previous) job for instance. The only way around this is if you define someone as a ‘friend’. That can get difficult if you don’t really know someone. You could ask for an introduction via someone in your network who is already connected with the person you want to connect with, but that’s a lot of extra work. (Personally, I’d love to connect with youth workers so anyone who wants to add me, just call me a ‘friend’!) An easier way to to join groups (see below) and connect with people there. When you’re in the same group you can add someone to your network (with their permission of course) without actually knowing someone. LinkedIn has a feature called groups, thematic groups which you can become a member of. Within the groups there are all kinds of conversations going (format: post with comments). I’m a member of several LinkedIn groups and they all suffer from the same thing: too much spam and self-promotion. A lot of people only join the group and the conversation to self-promote their book, their blog or their products. It frustrates me, because the ‘real’ conversations get drowned out. It’s a shame, because by its very nature, LinkedIn should be perfect for connecting with other youth workers, for sharing best practices and helping each other along. There are thousands of these groups, but surprisingly few are about youth ministry. The two biggest groups about youth ministry are Youth Ministry Today and Pastor2Youth. With these two groups, the amount of ‘spammy messages’ is doable, but I’d love to see them a bit more active. You can connect LinkedIn with your Twitter account so you can tweet directly into your LinkedIn updates. You can also connect LinkedIn with your blog so your latest blog posts are shown on your profile automatically. These are just two options in which you can use LinkedIn as a part of your social media ‘strategy’. This could work very well for instance if you’re trying to build a network, want to promote your blog or product or if you’re looking for a position in youth ministry. However, and I seem to keep repeating this: the goal of social media is to have a dialogue. If you just use LinkedIn to dump, to promote yourself and your stuff, it won’t work and ultimately, it will backfire. You have to be genuinely interested in connecting with others and willing to give back, for instance in the groups. I want to close with a final thought. Of all the social media, LinkedIn is most focused on you as a person and not on your youth ministry or youth organization. That’s logical considering it’s a professional networking site, but it also has its risks. LinkedIn can make you more focused on building a good profile, getting a big network, showing off what you do, on self-promotion so to speak, than on simply serving in youth ministry. It’s not a medium that promotes humility, just so you know. Are you active on LinkedIn? How do you use it in youth ministry? Do you find it useful? Any tips or insights you’d like to share?